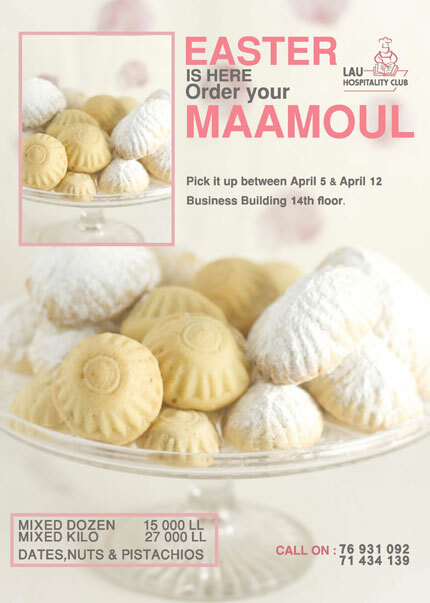 Order date, nut or pistachio Maamoul from the Hospitality Club. You can pick it up between April 5-12 from the Business Building 14th floor. Call 76 931 092 or 71 434 139.